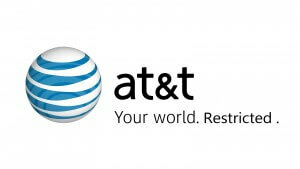 AT&T is known to be one of the thriving companies in the world. Because of its digital services, it has various customer care plans that are effective. AT&T online forum http://forums.att.com/ is a site that has numerous questions and answers on any information you might be looking for. You can also join or start a conversation and you will be able to find the latest news regarding AT&T products and services. The best thing about AT&T online forum is, you not only get info or answers from customer agent, fellow customers are also at your service. AT&T retail store http://www.att.com/maps/store-locator.html#fbid=jDG6UQ3Gbjo provides a map that displays locations of stores near your search address. These locations include AT&T stores, AT&T authorized retailers, and other stores that sell AT&T products and services. With the map, you can visit the AT&T stores near you to get products and services. Live chat is another option that can be effective. If you visit www.att.com/chat you will able to chat directly to a customer agent. You thus have all the time to ask any question and you will get detailed response from the agent. 1-800-331-0500- Orders, Customer Care, Billing,Tech Support. AT&A uses various social media sites e.g Facebook, Twitter, YouTube, LinkedIn, Pinterest etc. For Facebook, you can visit https://m.facebook.com/ATT?refid=0&_rdr and look at post that you consider beneficial. On the other hand, you can like or add the page where you will be able to chat with AT&T Facebook agents who will be able to give detailed information regarding their products and services. For Twitter, you can follow AT&T (@ATTCustomerCare) or (@attcenter) where you will be able to chat directly to an agent. Remember, you get to have all the information that you need since the agents are available 24/7. Other social media sites include YouTube- here, you can subscribe to AT&T center channel where you will be able to watch upcoming and past shows. These can be fun as well as informative since you get to know their product and services. Flickr is another site that you can use to get updates and other important information about AT&T. AT&T is the third largest non-oil company in the United States. As a multinational telecommunications corporation, it provides mobile telephones, fixed telephones and broadband subscription television services. Founded in 1983, it boasts as the largest company in Texas where its headquarters is situated. The current AT&T reconstitutes much of the former Bell System and includes ten of the original 22 Bell Operating Companies, along with one it partially owned (Southern New England Telephone), and the original long distance division.